We have an application (sysbench 0.5), reading and writing to a Galera Cluster (Percona XtraDB Cluster 5.7.14) via ProxySQL. 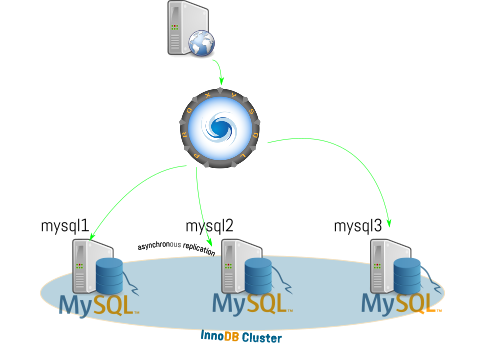 We write on all the nodes (Multi-Master) and we will do the same on our MySQL Group Replication Cluster, we will use a Multi-Primary Group. So the goal will be to replace all those PXC nodes by MySQL 5.7.17 with Group Replication one by one and avoid downtime. 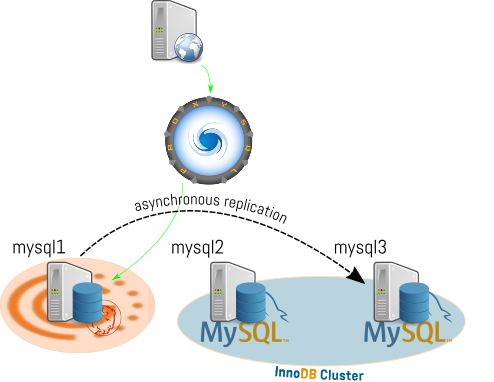 For the other ones, you can find more info in the previous post: HA with MySQL Group Replication and ProxySQL. To be able to proceed as we planned, we need to have binary logs enabled on every PXC nodes and also use MySQL GTIDs. Our application is of course still running (it might of course be disconnected), so in this case sysbench runs in a loop. As all our nodes are running CentOS 7, we will use the mysql57 community repo for el7. Now we need to bootstrap our group. It’s not needed now, but it’s the best time to also setup the credentials for the recovery process. You might forget it. This user is not yet created but we will created directly during the next step (and it will be replicated to all nodes). Let’s skip points 1 to 4. 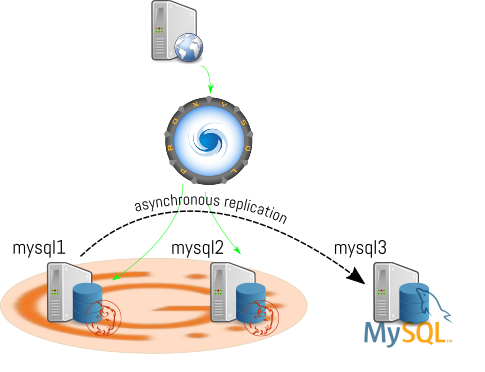 Unlike Galera, it’s mandatory with MySQL Group Replication that all the nodes have a unique server_id. We must then be careful, in this case we will set it to 2. Start mysqld and it’s time to join the group (point 7) ! 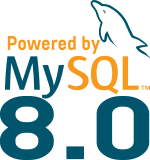 In this case as we are using ProxySQL, as soon as mysql1 (192.168.90.10) changes group, all the connection to it are killed and they will reconnect to the new nodes that are now part of the MySQL Group Replication. 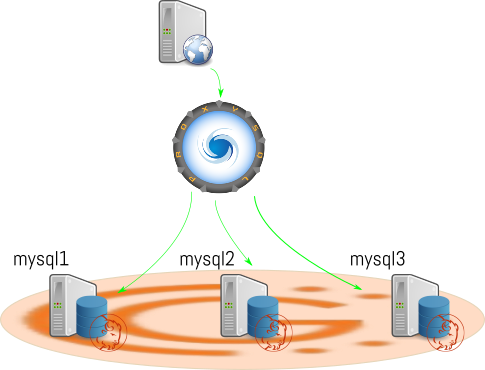 To finish, we have two options, or we configure the remaining PXC node to be slave for a while, so we can still decide to rollback the migration (I would then consider to add an extra node to the current MySQL Group Replication Cluster, as with 2 nodes, the cluster is not tolerant to any failure). Or we can directly migrate the last Galera node to Group Replication. As you could see, migrate your current Galera environment to MySQL Group Replication is not complicated and can be done with really minimal impact. Don’t hesitate to leave your comments or questions like usual. It’s also possible to swap Setp 2 and Step3, this means that the asynchronous replication is started before the bootstrap of the Group Replication. In that case, it might happen that the asynchronous replication fails while starting Group Replication, as the replication recovery is started and therefore no transaction can be executed. [Note] Plugin group_replication reported: 'Only one server alive. Nice Article ! Logically makes sense..
Good guide, thanks for that. I want to translate it to russian language. Please let me know if you have any objection. You write interesting articles. I’ll translate some more your articles later. The article is great. But I have concern at the value of loose-group_replication_group_seeds. When you set the node 3(192.168.90.12, first node to MGR), 192.168.90.10 and 192.168.90.11 was still PXC. I thought the loose-group_replication_group_seeds should be “192.168.90.12:3406”. It doesn’t matter, at that time the setting is not really used as we bootstrap the Group from that node. And in case it reboots, it will try to connect to the other nodes in that list, none will be available and a bootstrap will be necessary anyway. The setting it’s used at boot to join a Group. I’m now migrating my pxc to mgr , but one problem is that mgr can’t catch up with master(pxc).